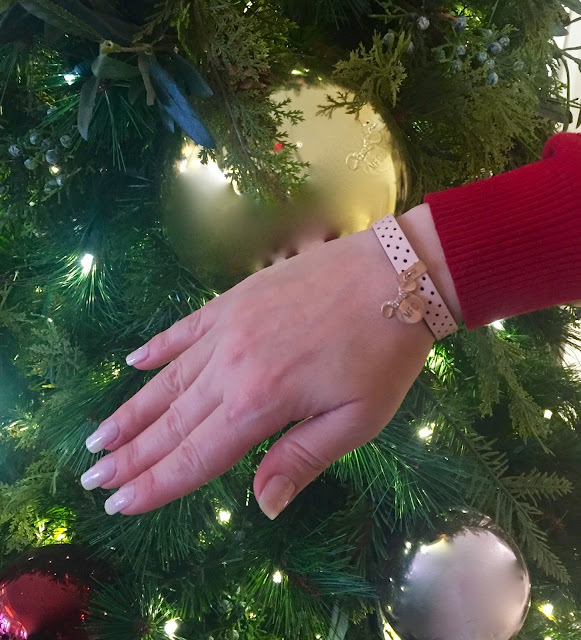 KEEP Collective has introduced new Disney charms and wrap bracelets just in time for the holidays! Disney inspired jewelry has come a long way since I was a kid. I had a large-link plastic necklace with a Minnie pendant that I wore everywhere. I thought it was fashionable but I looked like I was wearing a home made shrinky-dink. The piece was not something I could wear into my teen years and it broke my heart when I eventually had to had to relinquish Minnie to my top drawer. When KEEP Collective sent me a bracelet to review I wondered if I could tastefully pull of wearing Disney jewelry as an adult. I opened the package and saw Mickey and Minnie peeking out at me from atop two of the cutest boxes I have ever seen. They were beckoning me to look inside! The boxes alone will give any Disney lover an adrenaline rush. They pull out like a drawer and are the perfect place to store these pretty baubles when not being worn. I opened each box, placed the rose gold colored Minnie charm onto the perfect pink colored leather band and instantly fell in love! I didn't expect the bracelet to be so refined and dare I say it..."adult!" I love the feel of the keepsake pieces. They fit nicely. I have a very small wrist and most bracelets slip down over my hand. The leather bands (Keepers) fully adjust to various size wrists. The charms slide flat onto the leather and don't shift around. The band feels natural on the wrist and you won't even notice that you are wearing it. KEEP bracelets and charms are so well crafted that you are sure to cherish your pieces for years to come. Only responsibly sourced, quality leather and metals are used in the production of the collection. ﻿The Keepers are meant to become a reflection of your personal tastes. Each evolves into "a wearable reminder of the little things, the big things and all the things that make you unique." I love this sentiment. You can wear multiple charms at once or tone it down according to your mood. I already know which charm I am adding to my Keeper next. Life shared is life celebrated. The KEEP Collective charms are the first engravable jewelry products that Disney has ever done. Don't my initials look amazing on Minnie above? They are forever pieces that are sure to be cherished for a lifetime. True to their name, they are "Keepers!" More about Keep Collective: KEEP Collective was launched on January 29, 2015 by the creators of Stella and Dot. 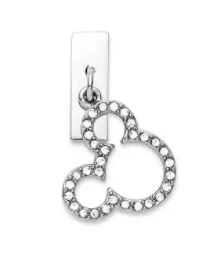 Their stylish slider charm concept is their “chic update for storytelling jewelry.” Designs can be customized to reflect any aspect of your life. The Keys (slider charms) are all hand-designed in the KEEP Collective design studio in Sausalito, California. I received a product to review. All of the opinions are honest and my own. The Keep Collection is so pretty. I know a lot of people who would love to get anything from the collection as a gift. These are so pretty and tasteful! And I'm not even a big Disney fan! I love KEEP Collective- they're seriously addictive. Their Disney line is so adorable and such a special idea to commemorate a trip (or to wear on a new trip!). I had no idea that the KEEP Collective was from Stella & Dot! That is such a cute bracelet, now I want to go check out all of the other charms they have.